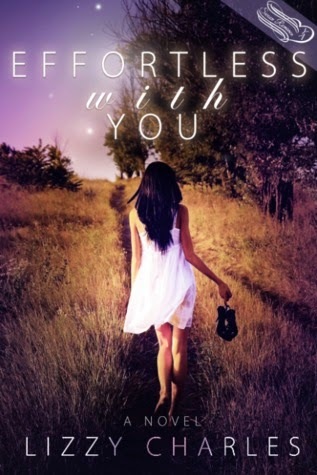 Lizzy’s debut novel Effortless With You was published August 2013 and has become an international mulit-category Amazon bestselling novel. 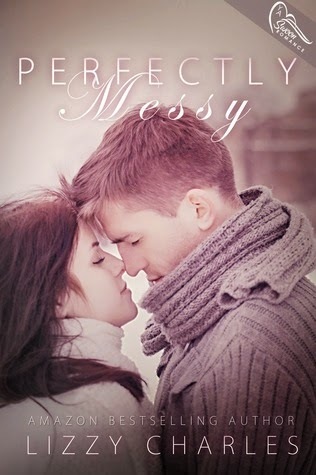 The sequel, Perfectly Messy, releases May 2014. Writing is the beautiful secret hidden in the pages of Lizzy’s soul. When she’s not scrambling to raise her spunky toddlers and newborn or caring for premature and sick babies as a neonatal intensive care nurse, she’s in a quiet corner writing or snuggled up with her favorite novel, Pride and Prejudice. She graduated from the University of Minnesota, where she crammed children’s literature and creative writing courses into her vigorous nursing degree schedule. With a background in health, she writes about childhood health and development as her contribution to a popular MN public policy blog. Lizzy caught the writing bug in first grade and hasn’t stopped jotting plot lines since. She married her high school sweet heart, a heart-melting musician, so it’s no surprise she’s fallen in love with writing contemporary Young Adult romance novels. 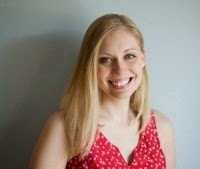 Lizzy Charles is represented by the amazing Dr. Jamie Bodnar Drowley of Inklings Literary Agency. Hi! Thank you so much for having me on the blog. I’m thrilled to be sharing insight on how I named my characters in the Effortless With You series! Naming my characters is very important to me. I put a lot of time and effort into it. I’m around the “naming” process all the time as a neonatal intensive care nurse. One of my favorite moments is when a parent whispers their child’s name to them for the first time. Or helping them choose their names as they look at their little baby through the isolette. The moment the name is settled, it’s magical. I can honestly feel a shift in the air. 1. Choose the Vibe. Do you want it to be a modern name? An eclectic name? A classic name? 2. Hit up baby naming lists and blogs. Look at what’s popular now and up to ten years prior. This is important to me as I absolutely want to connect with my audience, which are readers ages 13+ (we are all young adults at heart, aren’t we. 3. Run said names against your own name prejudices you picked up from your schooling years. Noah is always a name I try to seriously consider for a main love interest but I can’t make the leap--- not after playing cello in front of the most boogery Noah on earth for eight years. That’s right. EIGHT YEARS OF BOOGERS. Yuck. 4. Take the name and run it by people that are dear to you. This is key when I choose my guy names. I’ll tell my friends, “okay, this guy is supposed to be that frat-boy you hate.” Together we’ll play with my top names, perhaps tweak spelling and do whatever it takes to find a way to portray just that. Sometimes you actually have to start writing your characters before their name materializes. I’ve actually changed names out a few chapters in once I realized that my Tripp was actually a Beckett, etc. So how did this add up to finding Lucy and Justin for Effortless With You and Perfectly Messy? I named my characters the summer of 2010. I knew I wanted my female lead to be strong, a bit of a spitfire, but incredibly kind. At the time, I’d recently moved into a townhome association and was fascinated with this ninety three year old woman who lived across the courtyard named Lucy. This woman was up at dawn and went to bed past midnight. I don’t think a week went by where she wasn’t throwing a party for all the ladies on the block. Lucy was that type of person who made you feel like you were the most important person on Earth when she spoke to you. She was that amazing. So, Lucy became my female lead. And Justin? Well … I did all the baby name searches but when it came down to it, I had a small dose of Bieber Fever (please remember that this is 2010). So, naturally, I named the love interest in my romance Justin. Thankfully, once I started writing, my Justin strayed far away from being even close to Bieber-ish. What are your favorite character names? Can you imagine what Twilight would be like if Edward was actually named Todd or Eustice? See, names count! Thanks so much for having me on the blog!